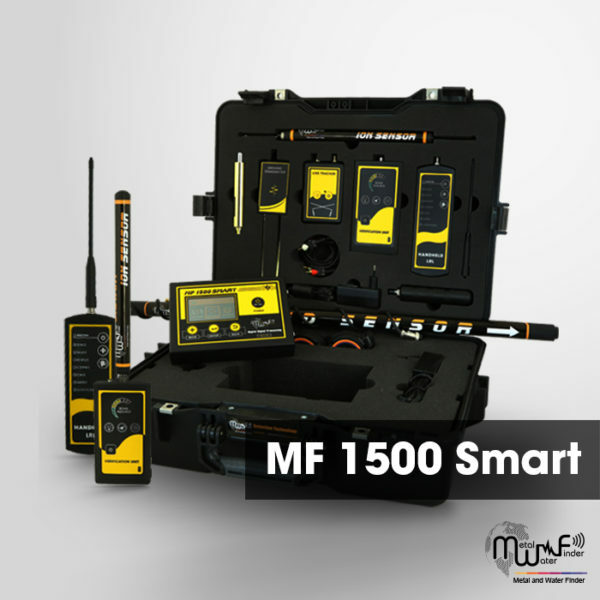 MF 1500 SMART, a specialist in detection and exploration for underground resources and mineral, gold, minerals, water, gemstone, diamonds, voids and cavities as well, with optional lists. This device is the latest and most advanced scientific technology, running on the detection and smart operating systems (Smart Technology) for the first time and exclusively at MWF GROUP. MF 1500 Smart is a multi-detection systems device with several functions, it gives the explorer high-accurate results about the targets underground with locating points of drilling for target and the depth as well, supported by smart operating systems, which gives to user a complete and rapid control in all the settings of the device programs and seamlessly. MF 1500 Smart has Multi-language also, so can anyone use it and it can be easily handled, with integrated data and results about the target point and drilling for, as well to determine the depth and size of target. MF 1500 Smart ” Works on scientific techniques of special electronic character and by developed software and unique. MF 1500 Smart ” Has multi-detection and exploration systems with the latest advanced and sophisticated to techniques to detect and locate the targets underground. Selection Interface of search system, it gives you a quick move between search system modes, to selecting search system, which detect through. Buttons Control Panel, composed of buttons made of chrome, gives you confidence in the rapid control in the device and settings. Automatic Tuning System (ATS) Special invention and new, registered in favor to MWF GROUP, this system provides accurate results and certain in all types of soils and terrain, because the system recognizes the soil automatically, grants the search process automatic tuning commensurate with the type of soil and properties of soil , With the abolition of any overlaps radiation resulting by the rocky and mountainous territory effect , which may affect a lot of other detectors, but the this smart system, can sorting and analysis and provide the necessary levels which relates of frequency signal, voltage and wavelength of the signal which gives results free of any errors. Ground sensor system that works to scan of soil layers and get to know its contents and read fields and levels of magnetic radiation to detects and locate the locations of metal and voids underground. Smart interface gives you absolute clarity and integrated results about the targets. Accurate discrimination system between metals and voids. Oscilloscope graphics imaging system to determine the size of the target. Advanced sensors give immediate and direct results in real time. Accuracy Identify of the target point with a graphs on the screen. Smart verification system, about connecting the ground-sensor in the device are well, or not connected in the device.